On 6th October, 25 students, from the French Club of Hindustan Institute of Technology and Science, went to the Alliance Française. 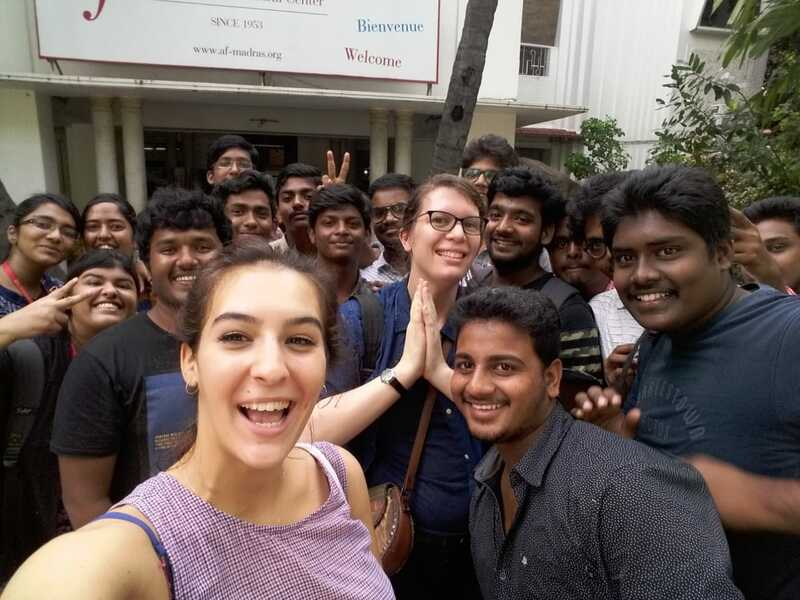 The Alliance Française of Madras is an association that promotes French culture and language, as well as cultural relationship between France and India. Students of BBA, B.Com., and Open Elective courses accompanied by two French teachers, Ms. Malou Payen and Ms. Clarisse Rouabah discovered the Alliance. A quiz on French culture was organized for them. The quiz gave students a glimpse of the French culture. After lunch, students met Ms. Rhea Shivan, Manager at Campus France. She gave a general presentation about studies in France and then she took time to meet students in small groups to focus on each branch of studies. This outing to Indo French Cultural Centre allowed the students to get a better understanding of the French culture and French studies.